For over 30 years, homes and businesses have relied on our solutions. Visit our showroom in Brisbane today to view our designs and have a chat about your requirements. We’ll take you through the different materials, styles and approaches available and tailor the right solution. Manual or Automatic Driveway Gates? 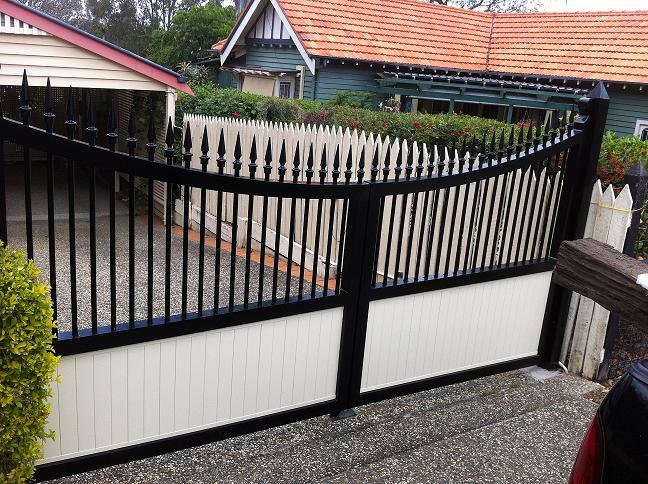 Manual gates come in a variety of styles, from the stylish and minimalist aluminium slat fencing to timber gates that swing outwards. 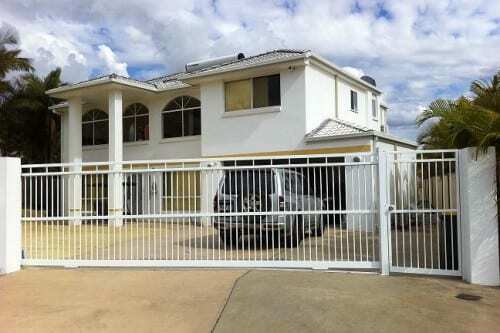 For security reasons, these gates generally require a lock to be manually latched and unlatched. 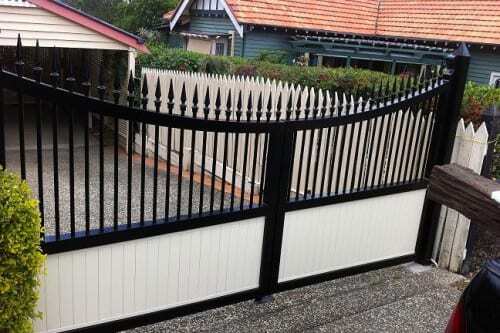 While less convenient, manual gates are cheaper and easier to maintain. 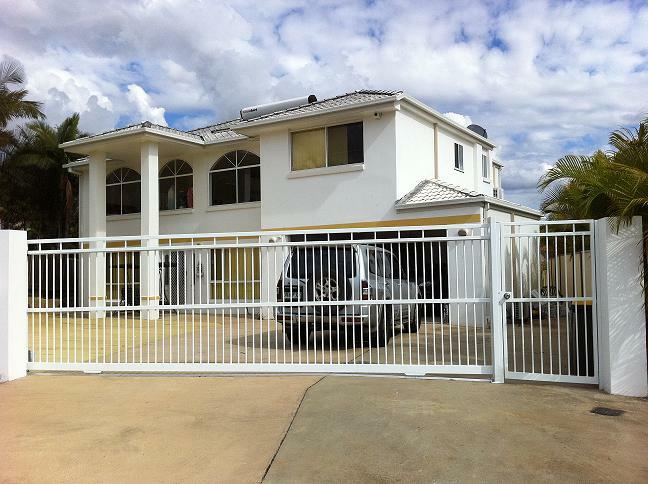 Automatic driveway gates offer elegance, convenience and improved security. There’s no need to manually lock the gate or get out of the car to open and close it. 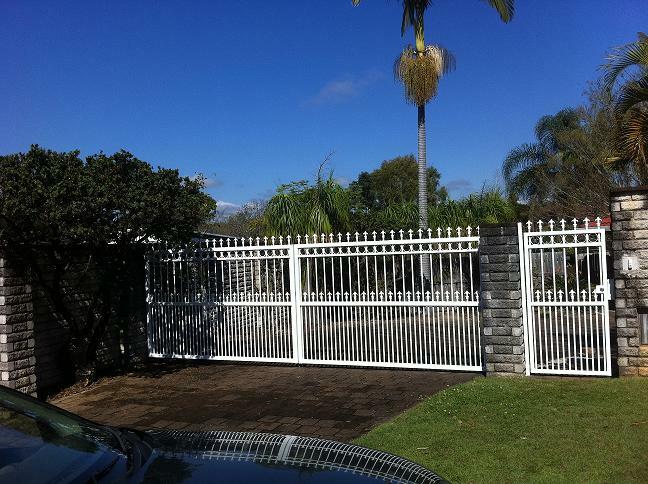 Depending on your aesthetic preferences and space restrictions, you can choose between sleek, electric sliding gates or automatic swing gates. Both offer maximum style and security. 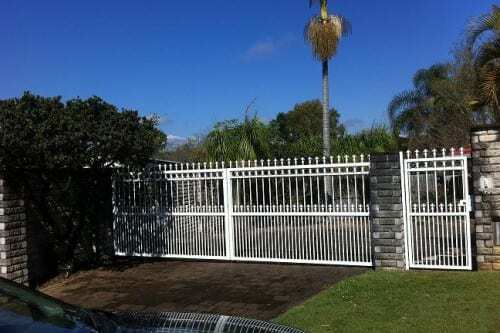 Whichever option you choose, you can rely on our experienced metal fabricators to design and install a driveway gate that is top quality and meets your needs. 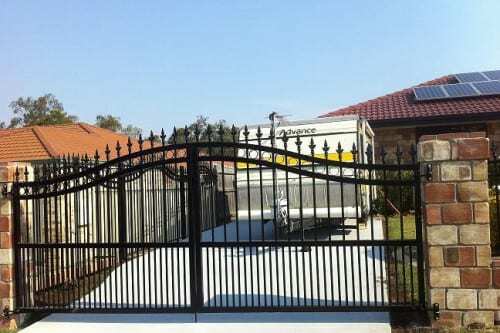 Whether a manual sliding driveway gate or an automatic driveway gate, each project is custom built to meet both the customer and site specifications and to comply with the Australian Safety Standards and Building Codes. 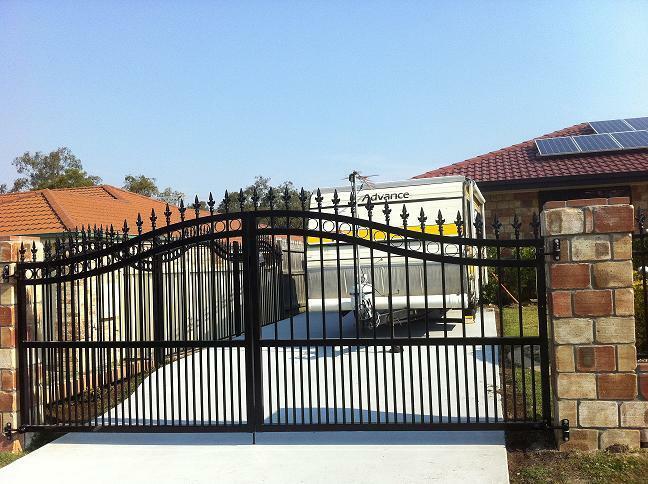 To find out more about our driveway gate installations in Brisbane or if you have any questions, simply get in touch with our friendly team. We can provide you with a quote and information about our materials, colour range and design approaches. Check out our FAQ page for more information about our services.